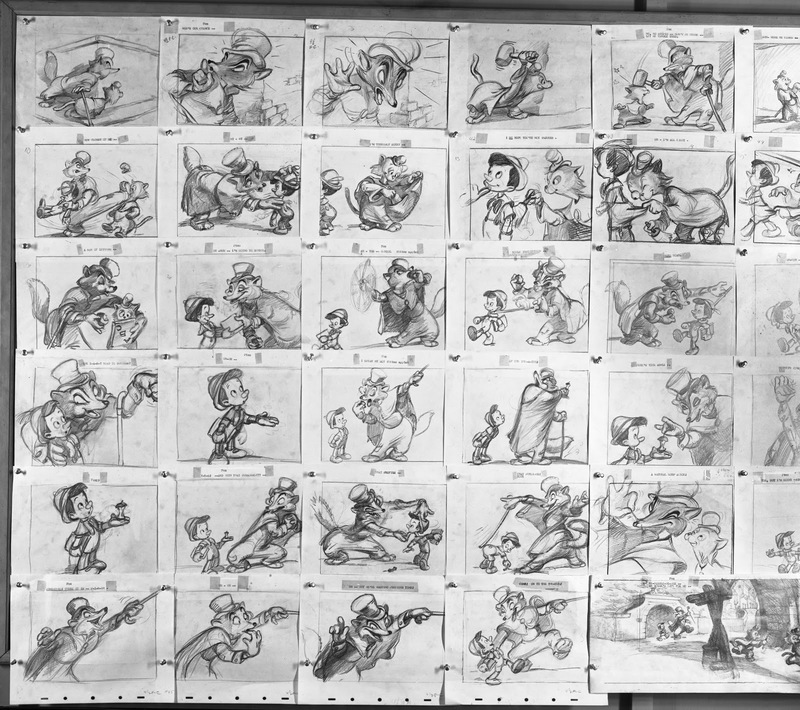 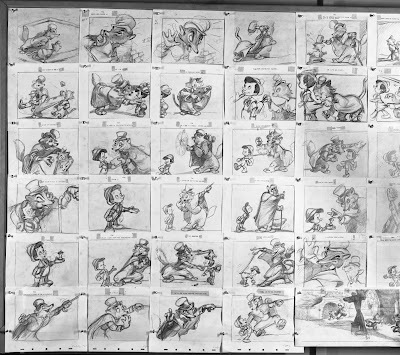 I would really like to know who the Disney story artist is who was responsible for the beautiful sketch above and the storyboard below. 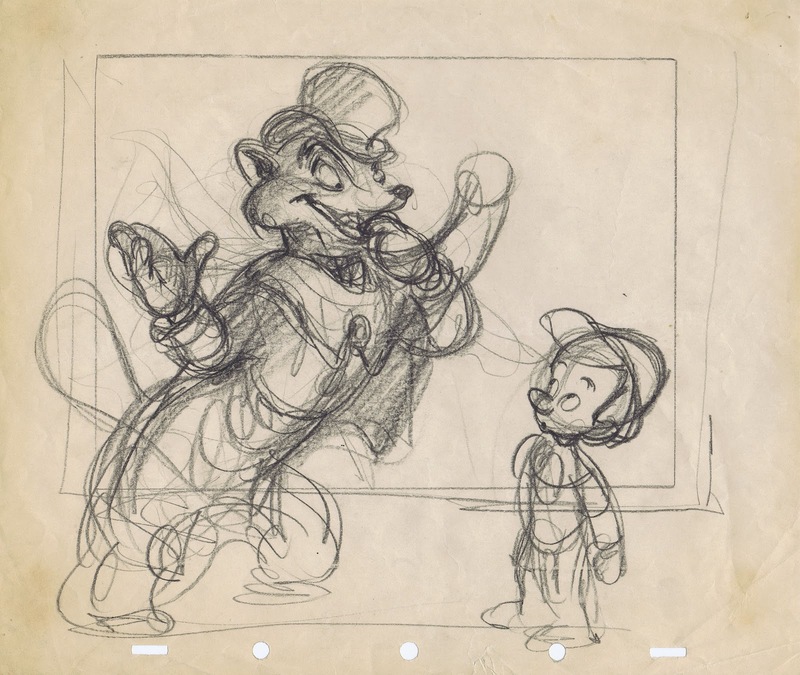 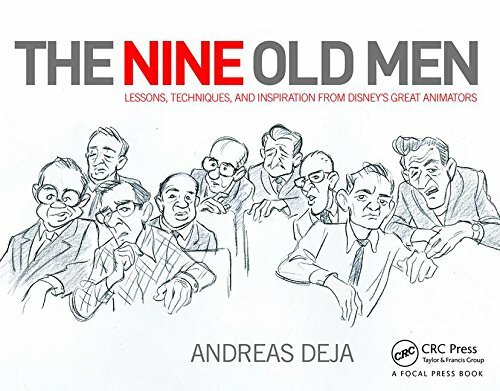 The style with its rendered characters looks familiar, I believe it is someone, who only worked on Disney's Golden Age features before leaving the studio. 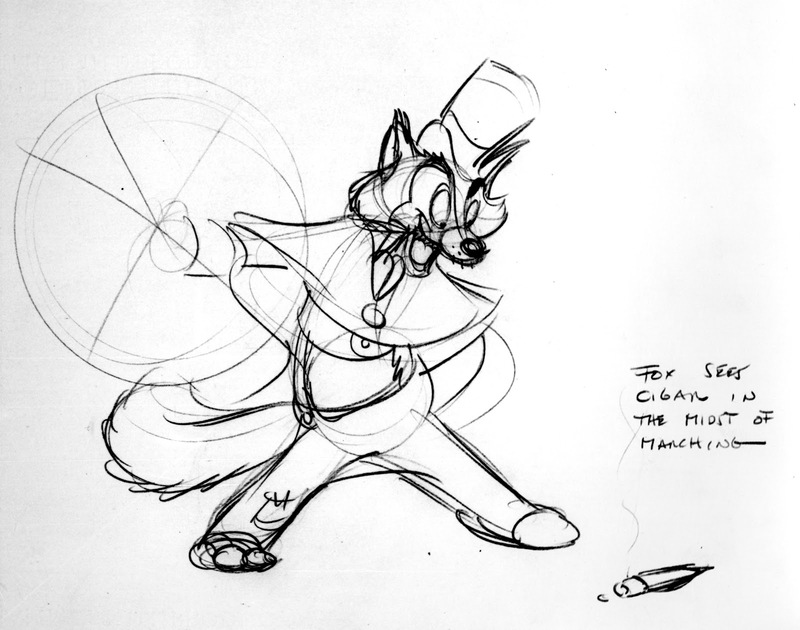 I can't get over the expressive poses, appealing and beautifully staged. 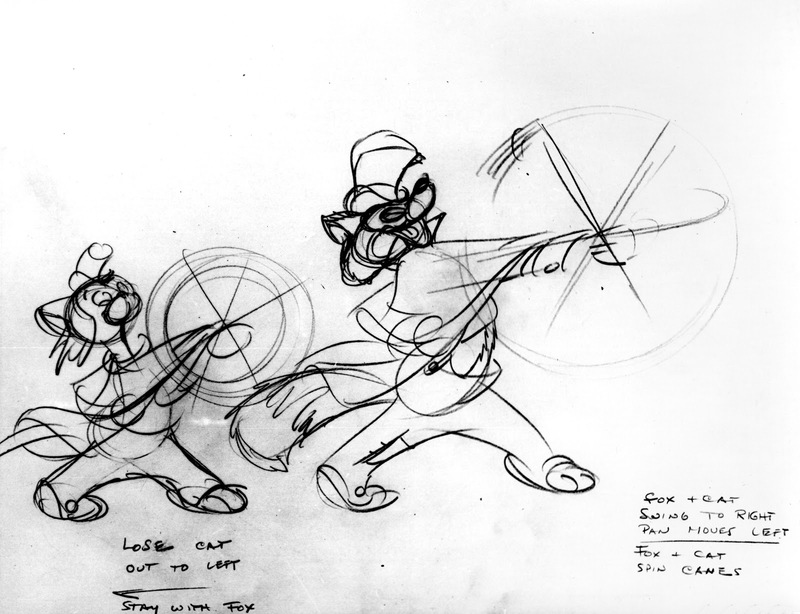 Animators like Norm Ferguson were smart enough to take advantage of this great material and applied the dynamic acting in these poses to their animation. 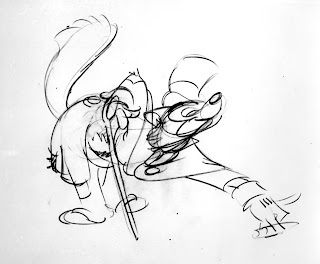 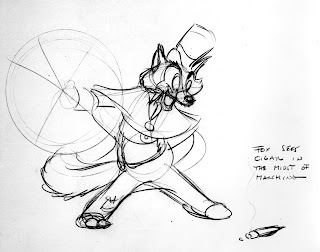 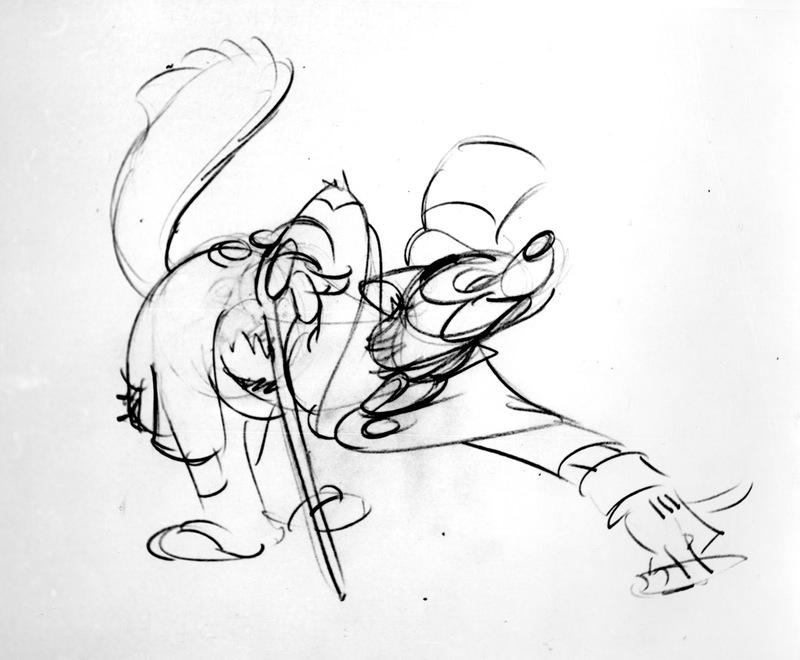 A few lively Ferguson roughs, the last two are extremes for a planned piece of action. By drawing so loosely the animator is free to focus on the character's emotion and the overall entertainment.